Statistics: 87 tackles, four sacks, one forced fumble. Who Did He Pick NC State Over? Georgia Tech, Boston College, and Northwestern, among others. 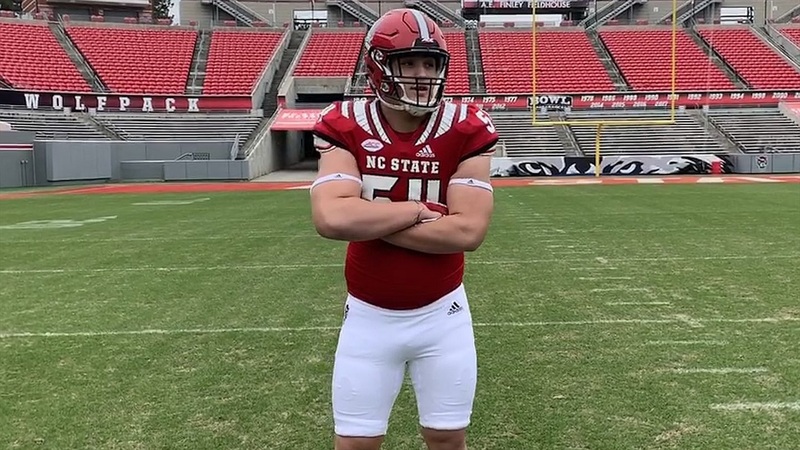 IPS Take On Dylan McMahon: McMahon jumped on an offer from the Wolfpack early in the summer and never wavered despite the departure of his position coach, Dwayne Ledford. McMahon thrives on his physicality and punishes defenders. He has very impressive film and college ready measurables. Only two offensive linemen have ever played as true freshman under Dave Doeren, Tony Adams and Joshua Fedd-Jackson, so the odds are against McMahon playing in his first season in Raleigh -- especially since he’s not an early enrollee. If McMahon adjusts well to a big step up in competition he could force his way into the rotation by year two or three.